Course number 1 – Each guest also gets a booklet with all the recipes for the evening’s dishes. That way you can take notes as you go along. They’ll also email the recipes to you after. While surfing the web for a fun cooking class option as a birthday gift for a friend, I stumbled upon Ginger & Lime. 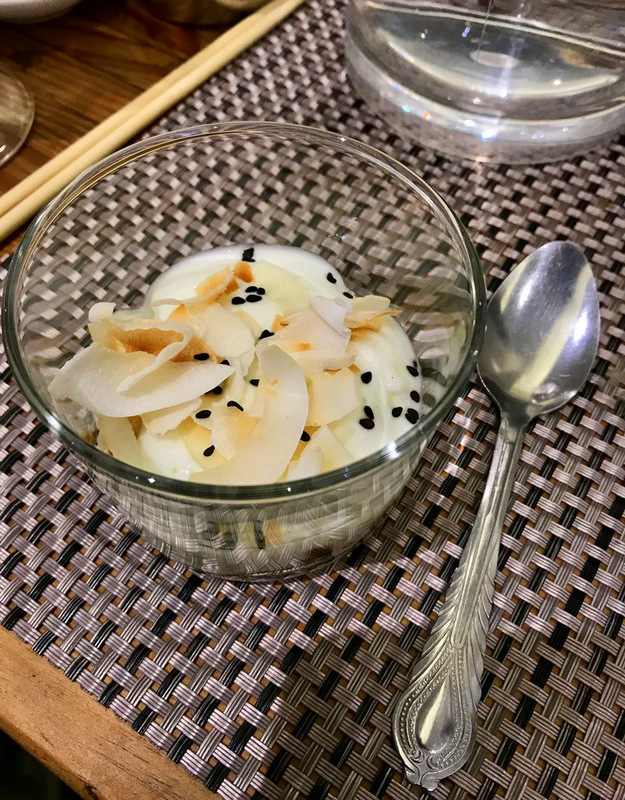 I loved the sound of their relaxed, informal & interactive vibe and their “ A Fusion of Eastern Flavours” cooking class immediately caught my attention. 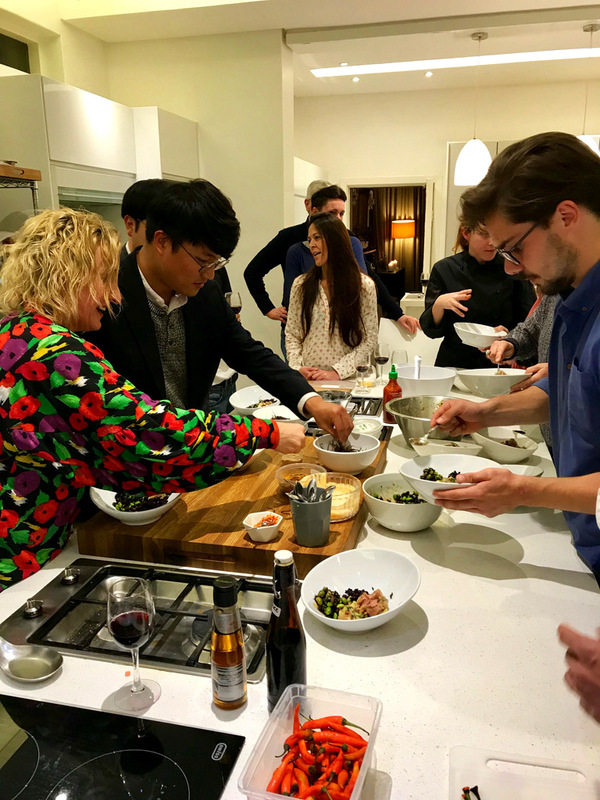 As someone who doesn’t cook (and also gift shopping for someone pretty much in the same boat as me), I was also drawn to the fact that they allow their guests to get as involved as they want. 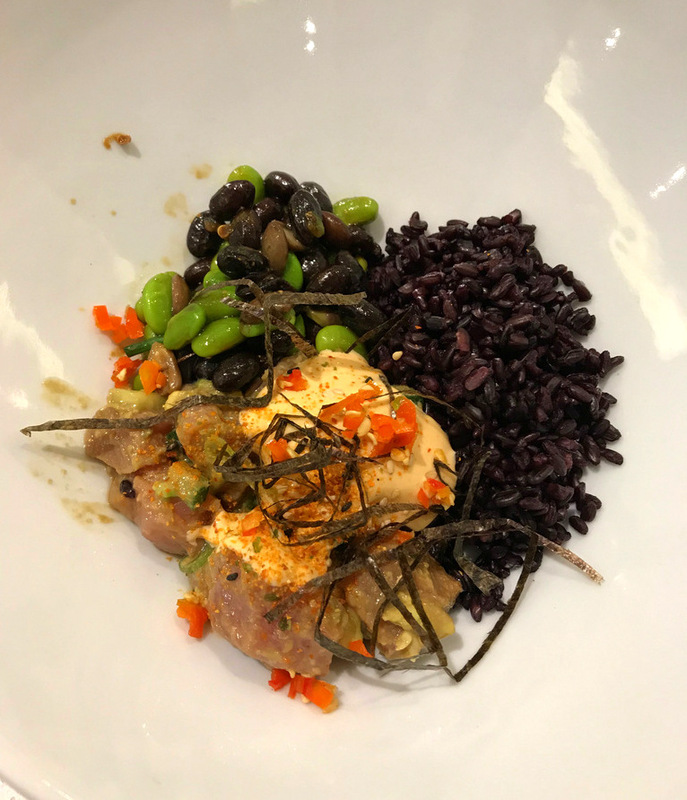 Each guest does not have their own station, instead you cook collectively as a group by helping each other prepare various elements of the different dishes on the menu. This of course doesn’t mean that someone who does love to cook won’t learn anything new. You definitely will. It just means there’s a little less pressure for those who aren’t that comfortable in the kitchen. Sounds amazing, right?? And it was… That said, if this doesn’t tickle your fancy, not to worry, because they host different classes with different themes every week. That way you can pick one that’s best suited to you OR you can just keep trying different classes to become the Masterchef you’ve always known you can be. 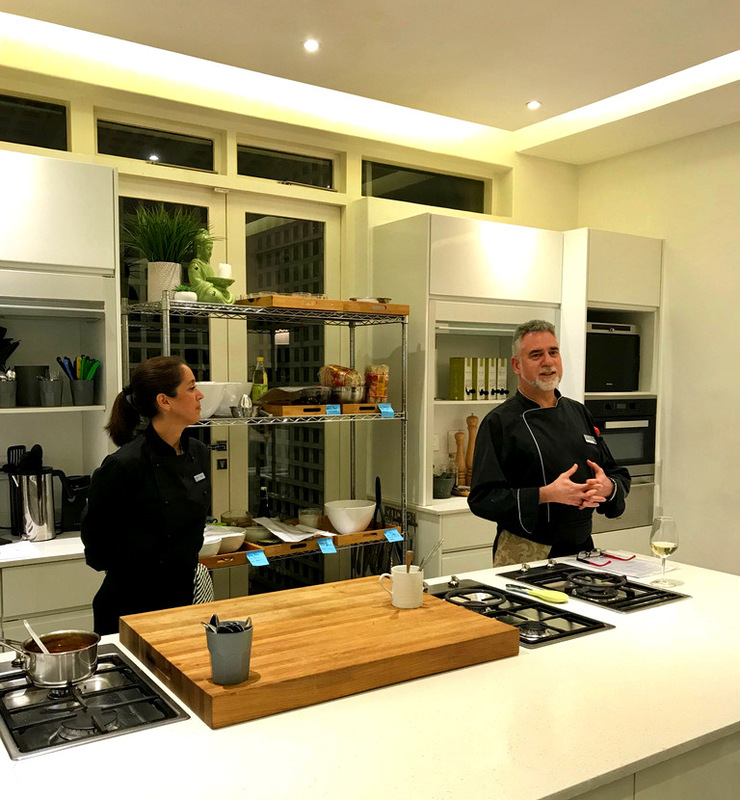 They can accommodate a max of about 20 guests and they host these interactive cooking evening in the kitchen of their beautiful home in Fresnaye. 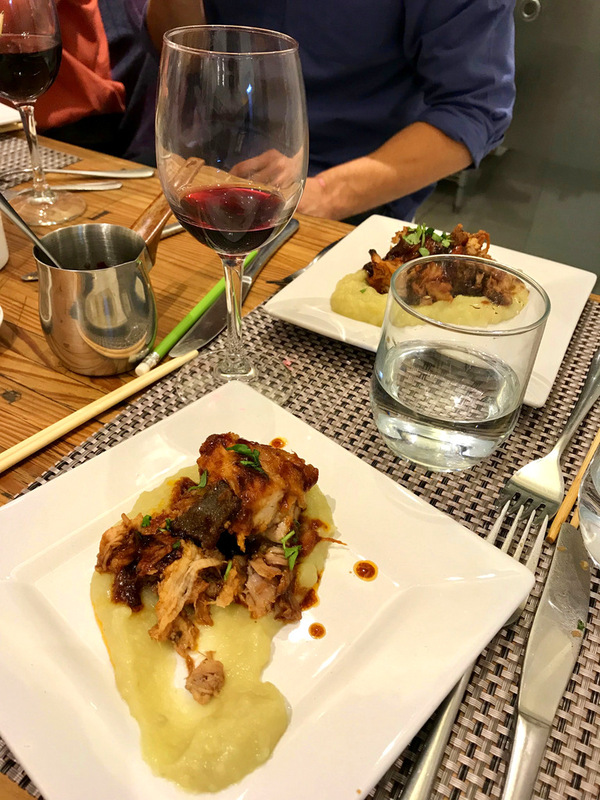 This was the Asian pork belly served on a bed of gingery sweet potato mash… we couldn’t take too much of the credit for this one as Chef Almo & his team had done most of the heavy lifting, but he did share lots of tips for cooking the perfect pork belly. This really was a fun night out AND I think I may even have picked up some culinary skills in the process. 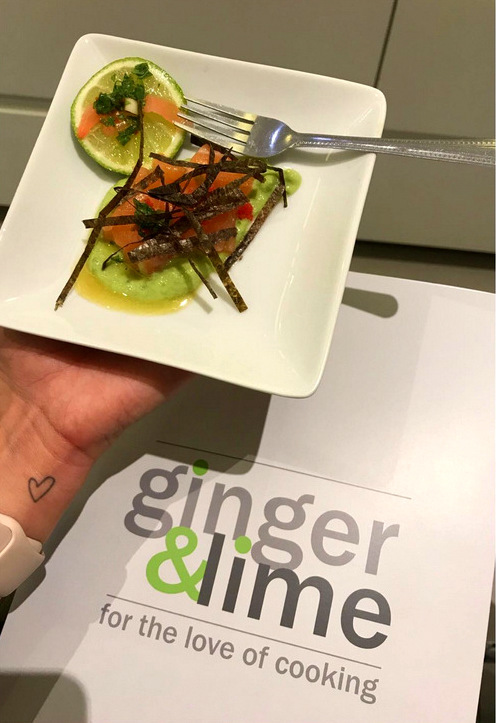 I think the Ginger & Lime cooking classes are great for couples, besties, small groups or even birthday celebrations. It’s definitely more fun than just going to a restaurant for dinner. Have a look at their course schedule over here to see what’s still on the cards for the rest of this year. 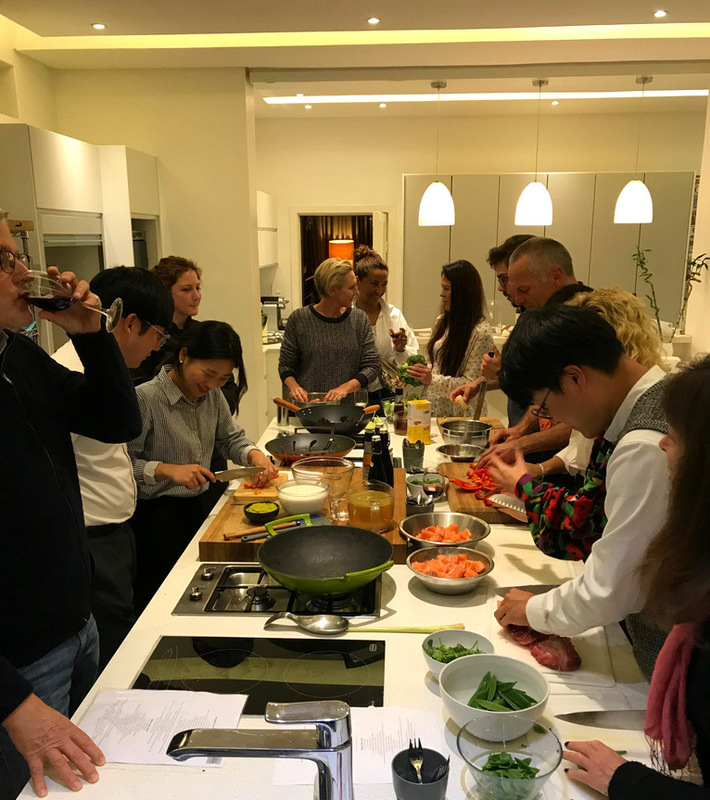 There’s a couple of really cool evenings coming up, like: Curries with John VZ, Seafood made Simple, Asian Fusion, Middle- Eastern/ Moroccan Fusion, French Cuisine, Italian/ Mediterranean, Easy Entertaining & Fab Festive Food. All you need to bring is anything else you may want to drink (they don’t charge corkage) and for the dress code they recommend that you dress smartly but also comfortably, like you’re going to a friend’s house for dinner. You can book either via their website or by contacting them on 083 660 1146 (Katy) or 083 251 6282 (Denise).